Leading national contractor Watpac has finalised a $42 million design and construct contract to undertake a major expansion of Darwin International Airport (DIA) – the group’s first construction project in the Northern Territory. Watpac CEO Martin Monro said the project win aligns with the company’s strategy to expand its core construction business into new operating regions. “Watpac has a proud 30-year history of delivering landmark projects across Australia and we’re very pleased to be entering the Northern Territory market with such a significant project,” Mr Monro said. “Our appointment to undertake the Darwin International Airport expansion follows our recent work on the $75 million Adelaide Airport Landside Infrastructure Project, which achieved practical completion last month with zero lost time injuries. The DIA Terminal Expansion project will involve the expansion of the domestic and international terminals and deliver additional departure gate lounge areas and security screening zones, new office and retail areas, and improved baggage systems. It will greatly enhance the airport’s capacity and facilitate improved passenger amenities, delivering expanded check-in, security, emigration and immigration facilities. DIA CEO Ian Kew said work on the expansion will commence on 24 May. “We’re very excited to be embarking on such a major development to our airport, the biggest in our history,” said Mr Kew. “The expansion will increase capacity dramatically, enabling us to improve efficiencies for our airline customers and terminal operators; and improve the travelling experience for our passengers. 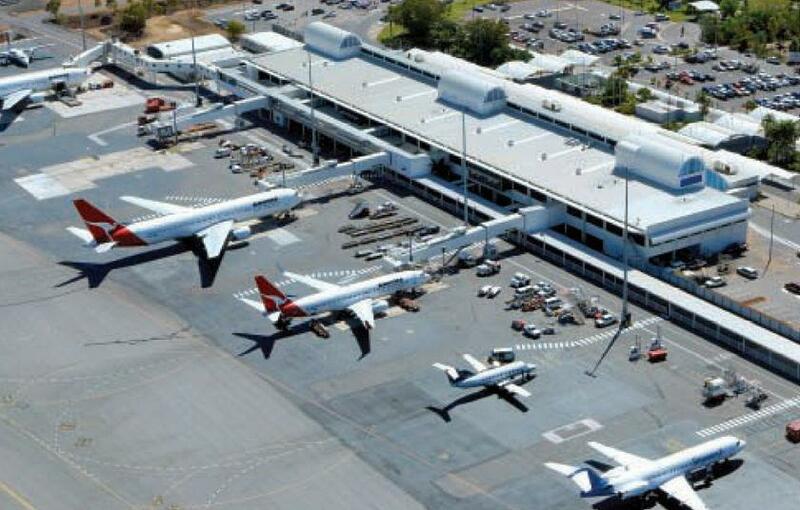 Darwin International Airport will be investing $60 million in total upgrades, including the $42.5 million cost of the terminal expansion project–the biggest undertaken by DIA since the terminal was opened in 1991. Almost doubling in size, the terminal will grow from 16,000 to 27,000 square metres and create room for additional departure lounge areas; improved baggage systems and security screening areas; an expanded check-in area; and vastly upgraded facilities for international travellers. The expansion will create more space for new retail and food and beverage outlets, the first of which, Bumbu, will be opening in June this year. The concept store was developed in collaboration with celebrated Territory foodie Jimmy Shu and the airport’s food and beverage operator, Delaware North Companies. Dôme café will be a 300 square metre addition providing floor to ceiling airside views from its approximately 170 seats. Other stores will all be completed by the end of next year, including a new bar with airside views, Hungry Jack’s, a fresh food offer, a second ground floor café and a new international outlet. Watpac QLD/NT State Manager, Mark Spry, said the project would be delivered by a combination of experienced Watpac project staff and local sub-contractors. “A large part of Watpac’s growth and success as a national company has been the extensive local networks we have developed in each of our operating regions,” Mr Spry said.